The line comes in four sizes (Short Robusto, Robusto, Toro, and Gordo) with suggested retail prices ranging from $8 to $12. 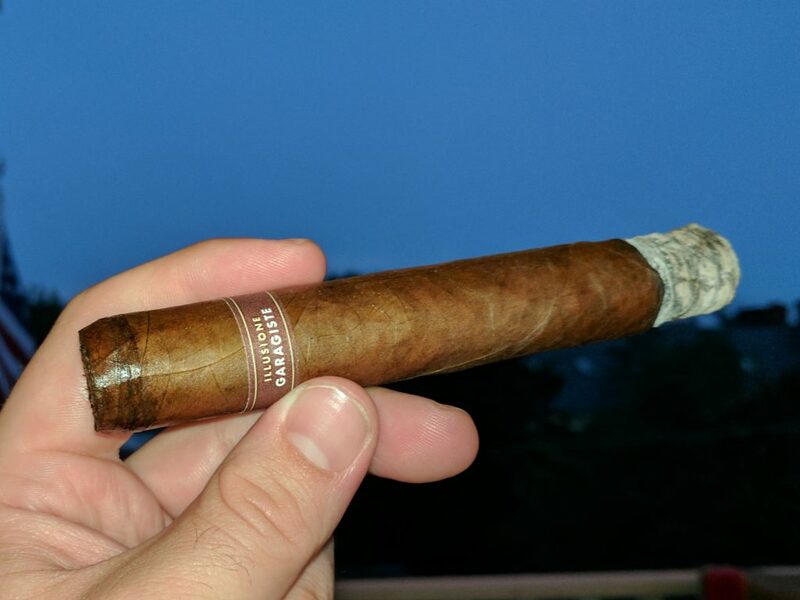 I smoked four of the Gordos (6 x 56) for this review. Each featured a notably oily, shiny wrapper and pre-light notes of leather. The cigar starts out very full-bodied with lots of leather and earth notes, along with some black pepper spice. An inch or so in, it dials back to a medium- to full-bodied, balanced profile as some sweetness emerges in the form of burnt sugar combined with bread and oak. The cigar mostly features a clean, balanced finish, although occasionally graphite-like tannic notes emerge. Construction was excellent start to finish, with the densely packed cigar drawing flawlessly and producing an even burn trailed by a sturdy multi-gray ash. Garagiste is a bit of a departure for Illusione and not just since it is the first Habano wrapper to be featured on an Illusione cigar. It’s a cigar with some sneaky strength, especially in the first third, though it also features the promised sweetness and spice. Although it isn’t my favorite Illusione cigar (that high bar is set by the original 2010 Singulare) or even my second or third favorite, the Illusione Garagiste Gordo is another welcome addition to the impressive Illusione family. It earns a rating of four stogies out of five.